This is the website of SingleMum.com.au. 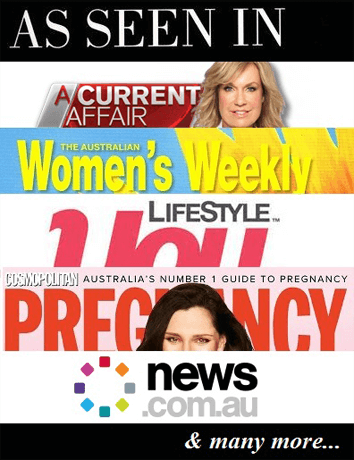 – We collect the e-mail address of visitors to our Web page that subscribes to our SingleMum.com.au Newsletter. These emails are only used for Single Mum Australia Newsletter or Notices. We do not sell or pass on our Newsletter subscriber emails to third parties. All competition entries become the property of the SingleMum.com.au (The Promoter). SingleMum.com.au requires your personal information in order to conduct the Promotion. By entering SingleMum.com.au Promotions, each entrant is taken to consent to the Promoter using the entrant’s personal information to administer the Promotion, announces the winners and disclosing the entrant’s personal information to organisations that assist the Promoter with administering the Promotion, and to third parties as required by law. By entering the Promotion, the entrant consents to receiving from the Promoter future communications by email including newsletters, special offers and promotions from SingleMum.com.au and any prize supply companies. The information we collect is used for internal review and is then discarded, used to improve the content of our Web page, used to notify consumers about updates to our Website, disclosed when legally required to do so, at the request of governmental authorities conducting an investigation, to verify or enforce compliance with the policies governing our Website and applicable laws or to protect against misuse or unauthorized use of our Website. We use third-party advertising companies to serve ads when you visit our website. These companies may use information (not including your name, address, email address, or telephone number) about your visits to this and other websites in order to provide advertisements about goods and services of interest to you. If you would like more information about this practice and to know your choices about not having this information used by these companies, please click here. Persons who supply us with their telephone numbers on-line will only receive telephone contact from us with information regarding the matter that they supplied their phone number for. If you feel that this site is not following its stated information policy, you may contact us at the above email contact form.